... sie deinen Freunden zeigst und (mit ihnen) zu unseren Konzerten kommst! 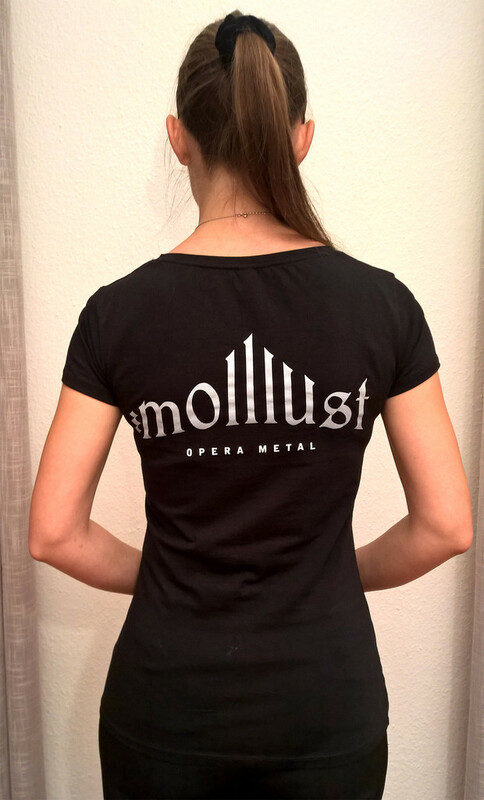 ... unsere Musik/Merchandisingartikel kaufst und trägst oder spendest. Denn ohne Geld können wir keine neuen CDs aufnehmen. Die Auslieferung erfolgt stets nach Zahlungseingang. 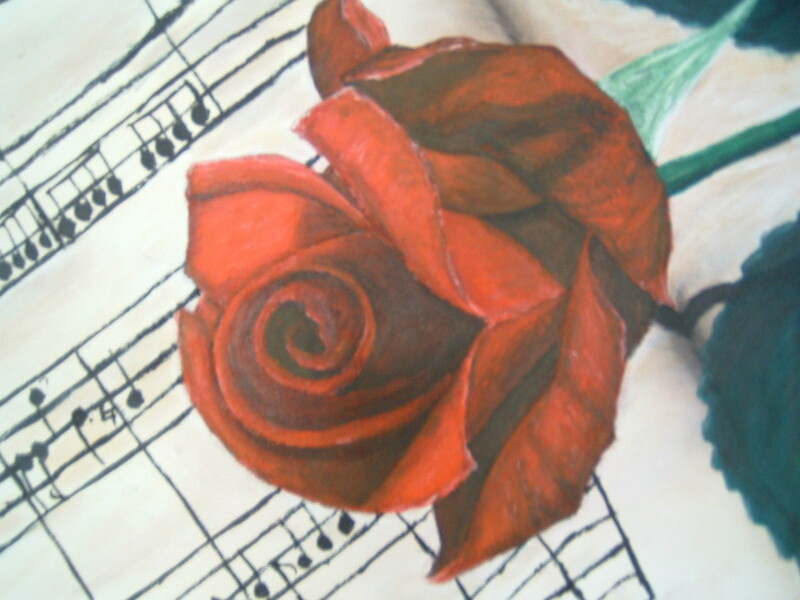 ... by showing it to your friends and visiting us on our concerts (together)! ... by buying our music/merchandise or donating. Without money we cannot record new CDs. Our products will be delivered after we received the payment. Das aktuelle Album "In Deep Waters" im edlen Digipak, inkl. Booklet mit Songtexten, eingeschweißt. Überlängen-CD mit 75 Minuten Musik mit orchestralen Passagen und mehrsprachigen Texten. The actual album "In Deep Waters" in a noble digipak, incl. booklet with song texts, shrink-wrapped. Overlength-CD containing 75 minutes of music, including orchestral passages and multilingual texts. In Deep Waters Digipak, overlength! 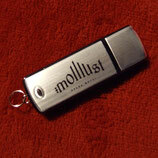 USB-Stick with all the molllust albums or only "In Deep Waters" including the Booklet as PDF document. USB-Stick mit allen molllust-Alben oder nur mit "In Deep Waters" inkl. des Booklets als PDF Dokument. 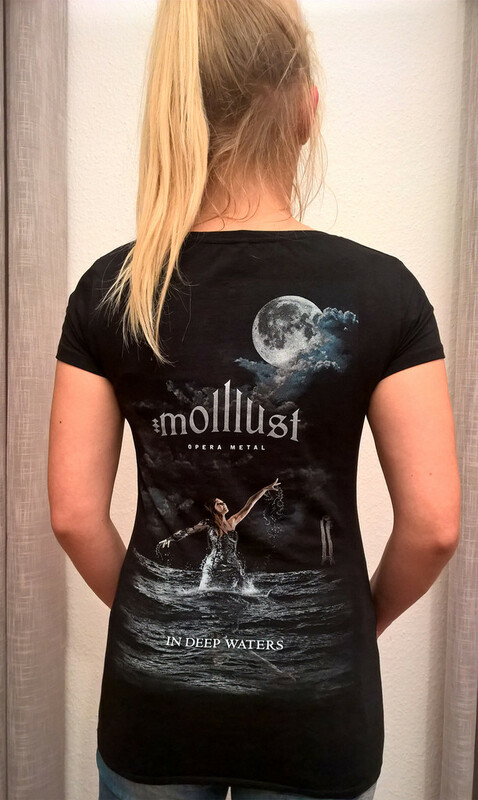 Girlie with small molllust-logo just in top of the left breast and the Cover-Artwork of In Deep Waters on the back. The shirts are fairtrade and organic, made of 96% organic-cotton and 4% Elasthan (Earthpositive-Collection of Continental Clothing), slim fit for a great silhouette. 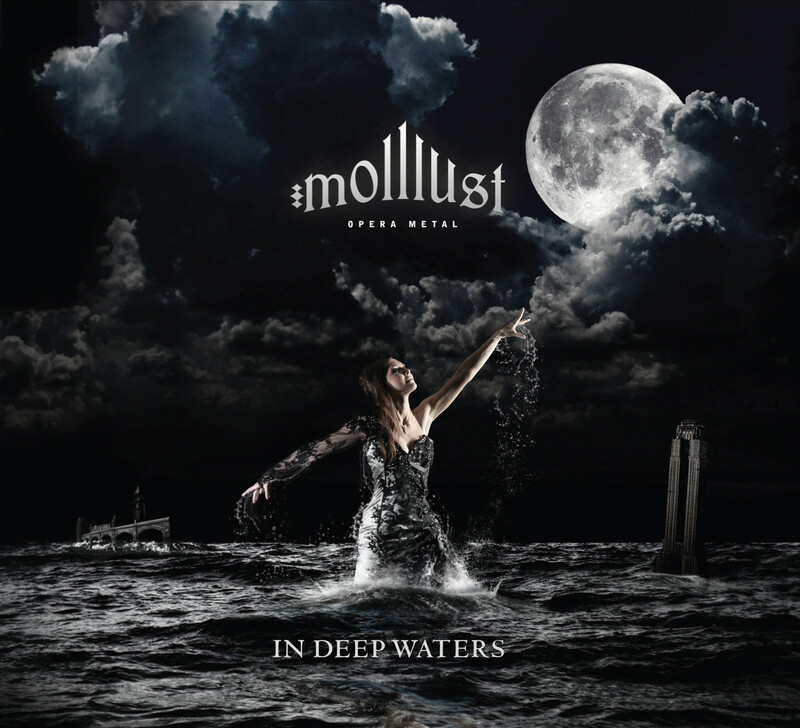 Girlie mit kleinem molllust-Logo vorne über der linken Brust sowie dem Cover-Artwork von In Deep Waters auf dem Rücken. 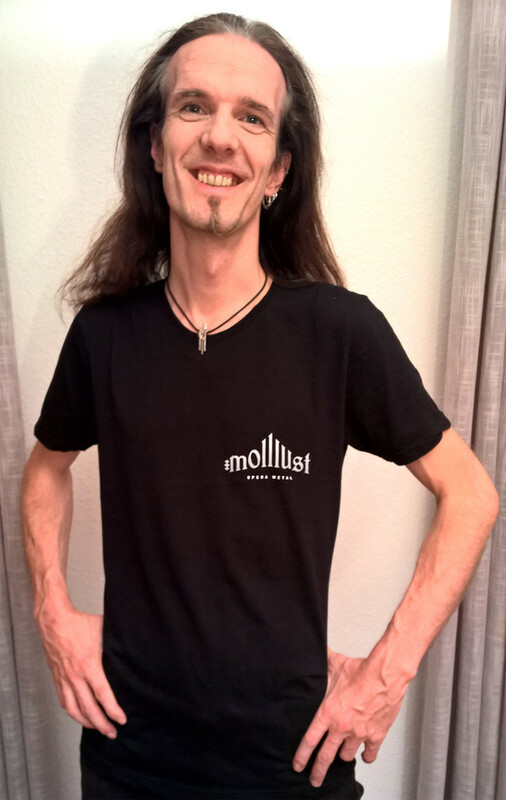 Die Shirts sind fairtrade-Produkte aus 96%Bio-Baumwolle und 4% Elasthan (Earthpositive-Collection von Contintental Clothing), eng geschnitten und figurbetonend. 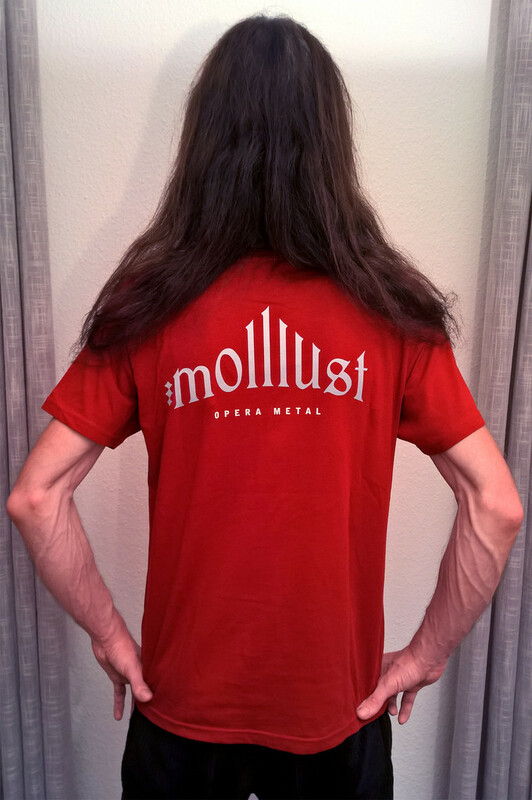 Standard-T-Shirt with small molllust-logo just in top of the left breast and the Cover-Artwork of In Deep Waters on the back. The shirts are fairtrade and organic, made of 100% organic-cotton (Earthpositive-Collection of Contintental Clothing). 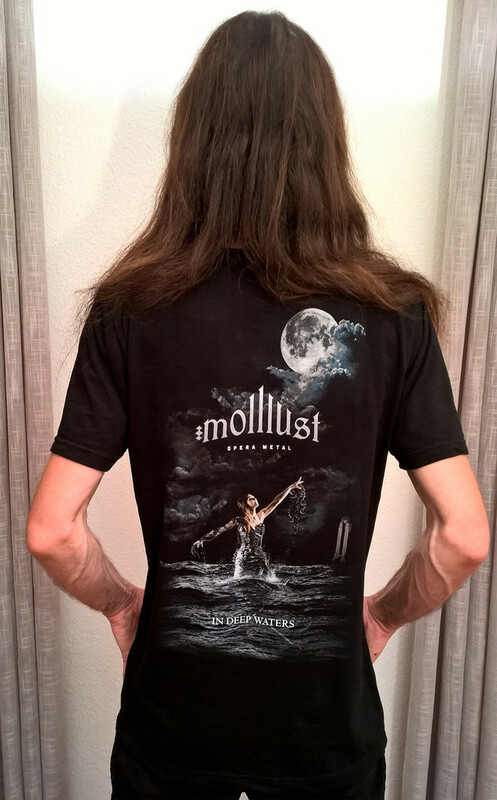 Standard-T-Shirt mit kleinem molllust-Logo vorne über der linken Brust sowie das Cover-Artwork von In Deep Waters auf dem Rücken. 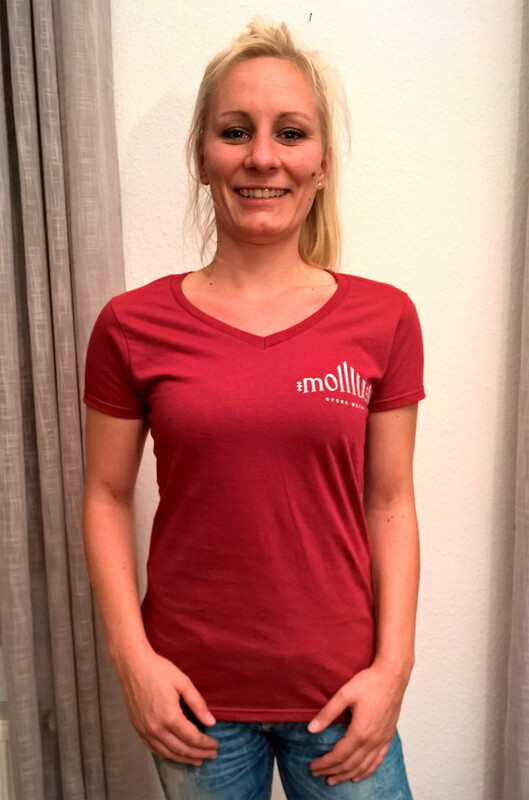 Die Shirts sind fairtrade-Produkte aus 100% Bio-Baumwolle (Earthpositive-Collection von Contintental Clothing). 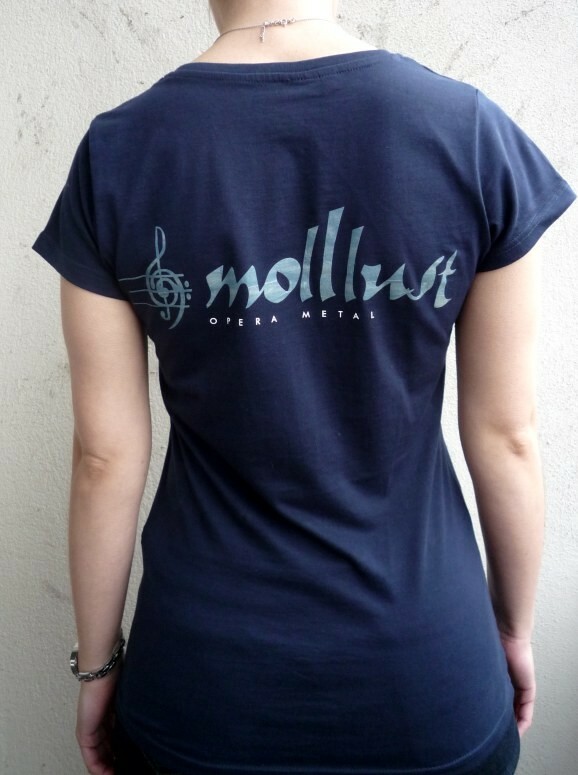 Girlie with small molllust-logo just in top of the left breast and in bigger size on the back. The black shirts are fairtrade and organic, made of 96% organic-cotton and 4% Elasthan (Earthpositive-Collection of Continental Clothing), slim fit for a great silhouette. The red shirts (anvil) are more wide and 100% cotton. Girlie mit kleinem molllust-Logo vorne über der linken Brust sowie groß auf dem Rücken. 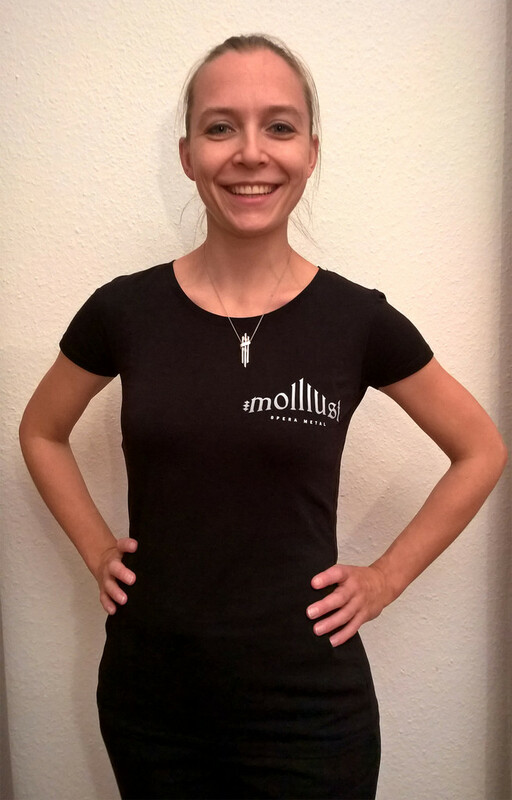 Die schwarzen Shirts sind fairtrade-Produkte aus 96%Bio-Baumwolle und 4% Elasthan (Earthpositive-Collection von Contintental Clothing), eng geschnitten und figurbetonend. Die roten Shirts (anvil) sind 100% Baumwolle und fallen weiter. 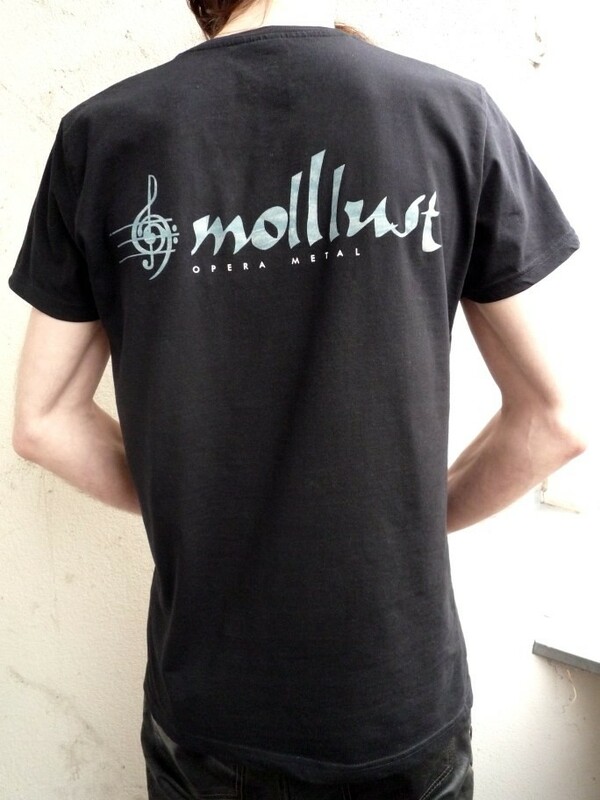 Standard-T-Shirt with small molllust-logo just in top of the left breast and in bigger size on the back. 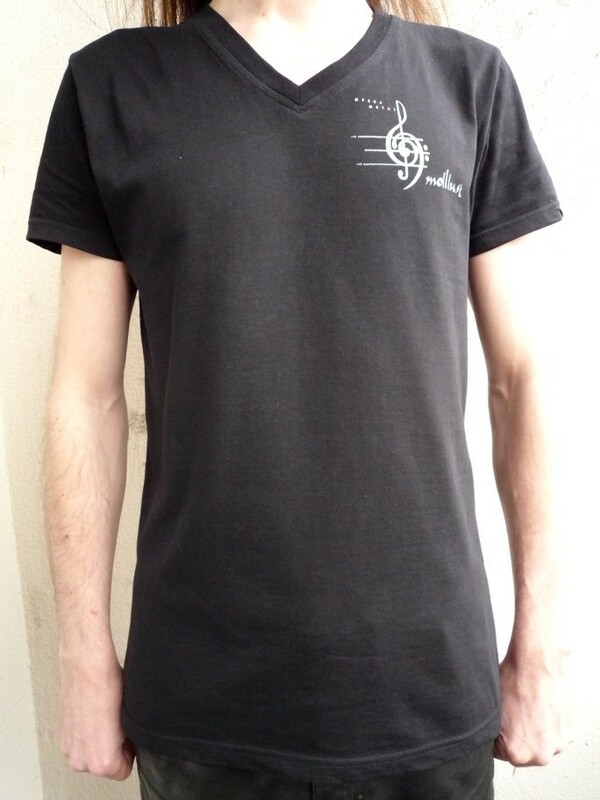 The shirts are fairtrade and organic, made of 100% organic-cotton (Earthpositive-Collection of Contintental Clothing). 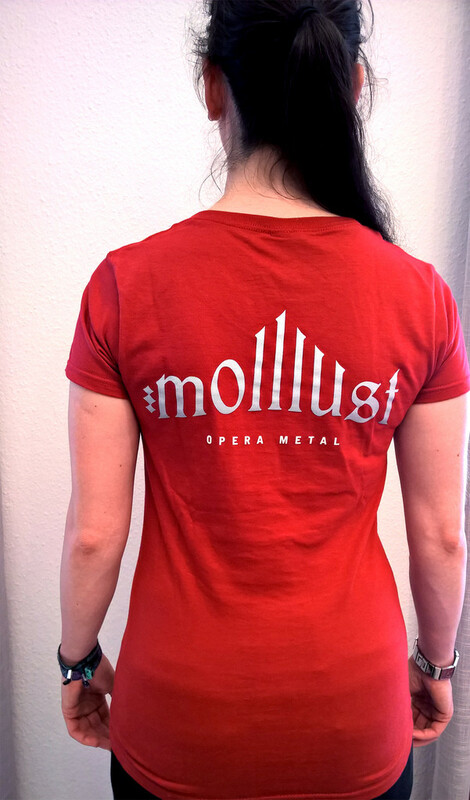 Standard-T-Shirt mit kleinem molllust-Logo vorne über der linken Brust sowie groß auf dem Rücken. 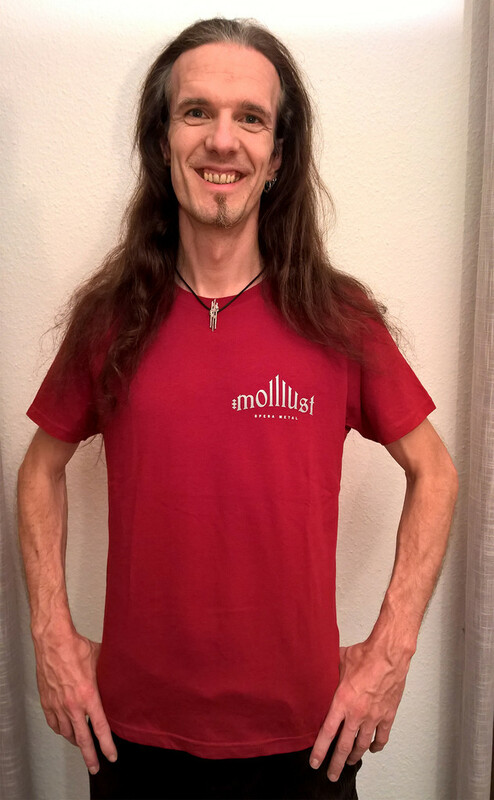 Die Shirts sind fairtrade-Produkte aus 100% Bio-Baumwolle (Earthpositive-Collection von Contintental Clothing). We as a band have a vision to improve the world - and each change has to start by oneself. Therefore we bought more expensive, but fair and organic merchandise. Help us to stay with this policy with a little donation of your choice! Wir als Band haben eine Vision die Welt zu verbessern - und jede Veränderung sollte bei einem selbst beginnen. Daher haben wir teureres, aber dafür faires und biologisches Merchandising gekauft. Helft uns dabei, diesen Idealen treu zu bleiben und unterstützt uns dabei mit einer kleinen Spende eurer Wahl! 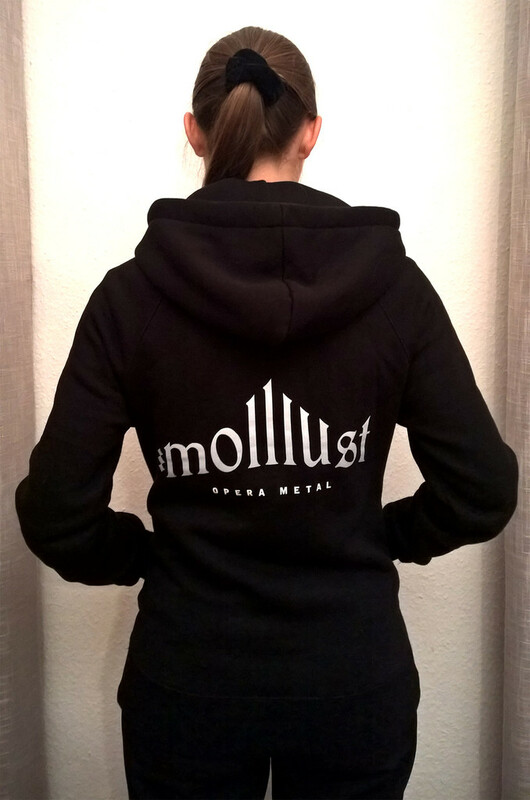 Hoody Women's fit with small molllust-logo just in top of the left breast and in bigger size on the back. The Hoodies are fairtrade, made of 80% cotton, 20% polyester (Contintental Clothing). 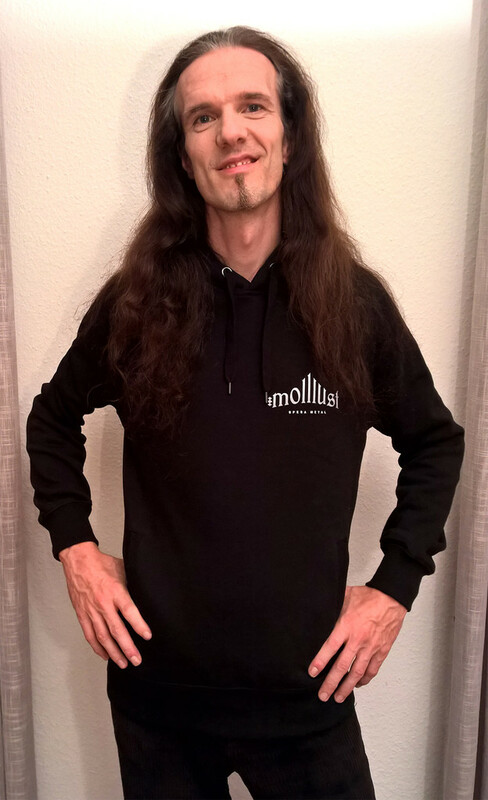 Hoody im schmaleren Frauenschnitt mit molllust-Logo klein vorne über der linken Brust sowie groß auf dem Rücken. Die Hoodies sind fairtrade-Produkte aus 80% Baumwolle, 20% Polyester (Contintental Clothing). 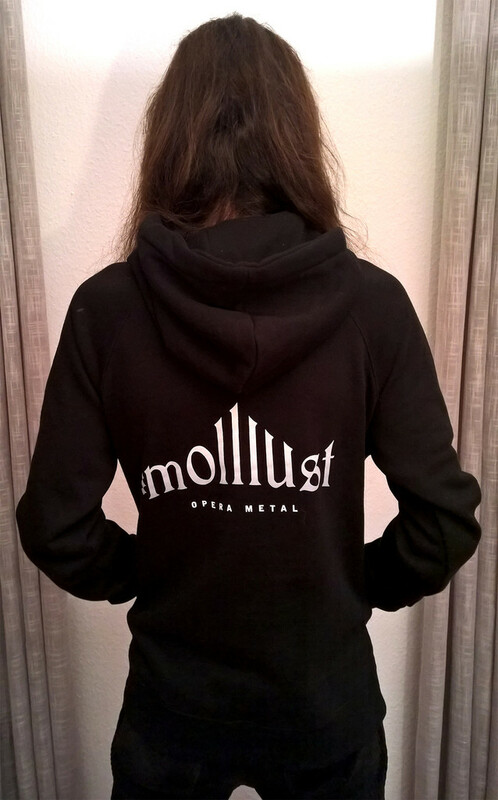 Hoody unisex with small molllust-logo just in top of the left breast and in bigger size on the back. The Hoodies are fairtrade, made of 80% cotton, 20% polyester (Contintental Clothing). We suggest women to order a size lower than they wear as Girly. 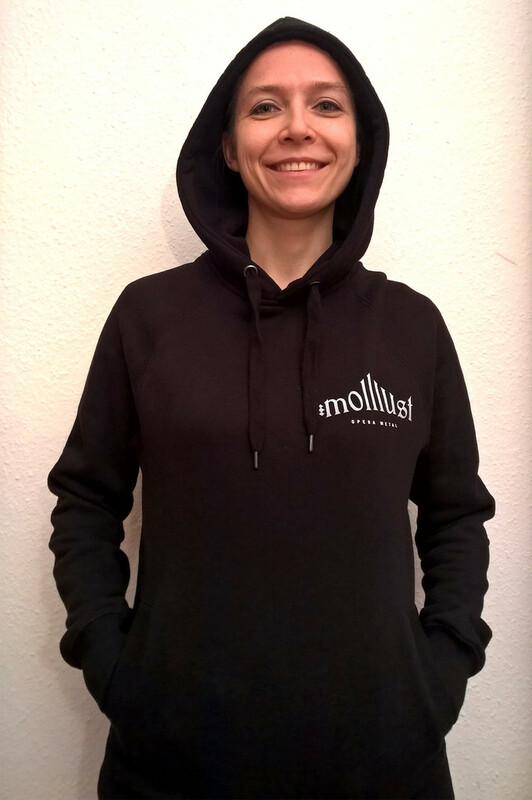 Unisex-Hoody mit molllust-Logo klein vorne über der linken Brust sowie groß auf dem Rücken. Die Hoodies sind fairtrade-Produkte aus 80% Baumwolle, 20% Polyester (Contintental Clothing). Wir empfehlen Frauen, eine Größe kleiner als bei Girly-Schnitten zu bestellen. 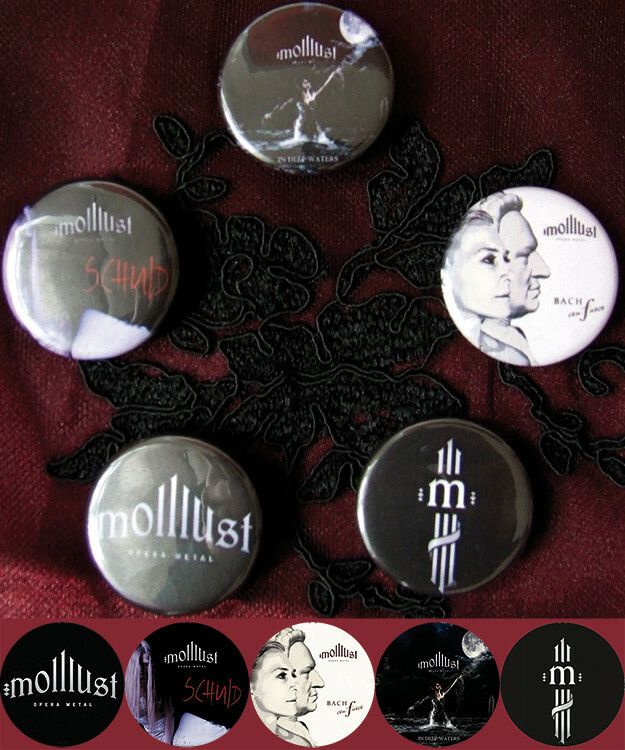 A variety of molllust-Buttons with artwork/Logo. 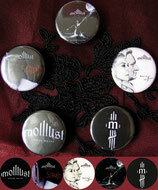 Buy them as a package with one of each or single Buttons. Kaufe sie entweder zusammen als Paket oder wähle einzelne Buttons aus. 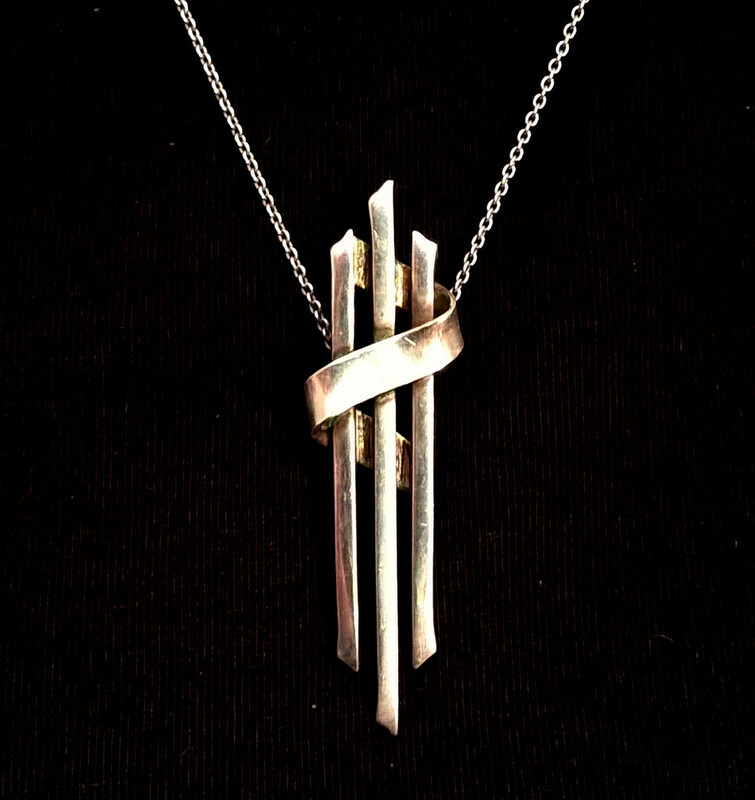 This pendant is handcrafted from Nadine Mühlbach, zierreiz in Oldenburg Germany. 925 Silver. 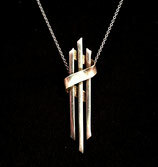 You can buy a silver necklace or leather/cloth strap in addition! Dieser Kettenanhänger ist aus 925er Silber handgefertigt von Nadine Mühlbach, zierreiz, in Oldenburg/Deutschland. Auf Wunsch kann ein Silberkettchen/Leder-/Stoffband dazu erworben werden. 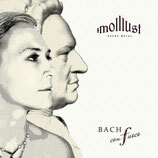 EP, die vier bei den BachSpielen 2012 premierten Stücke des molllust-Bachprogramms im edlen Digipak, eingeschweißt. 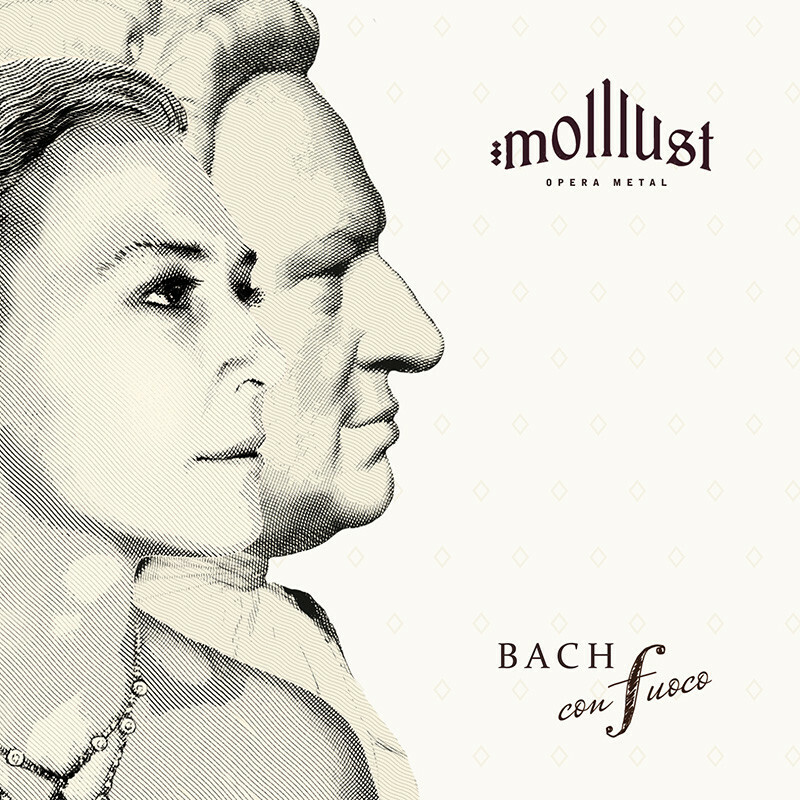 EP, the four winner pieces of "BachSpiele 2012" of the molllust Bach-Special in a noble digipak, shrink-wrapped. 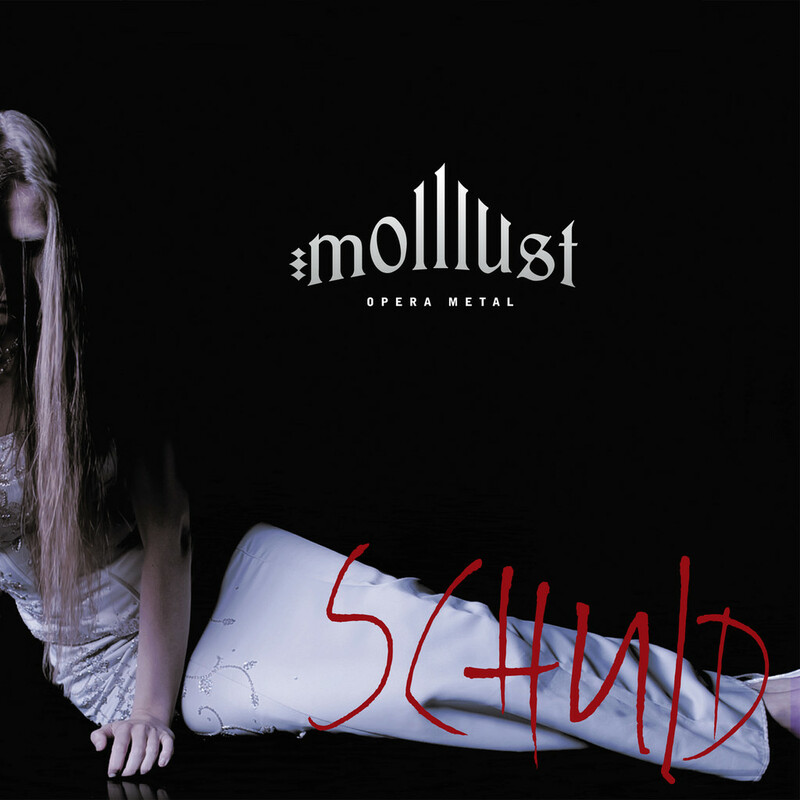 Das Debütalbum "Schuld" - 11 Songs im edlen Digipak, inkl. Booklet mit Songtexten, eingeschweißt. 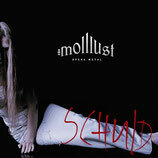 Our debut "Schuld" - 11 songs in a noble digipak, including a booklet with the song texts, shrink-wrapped. 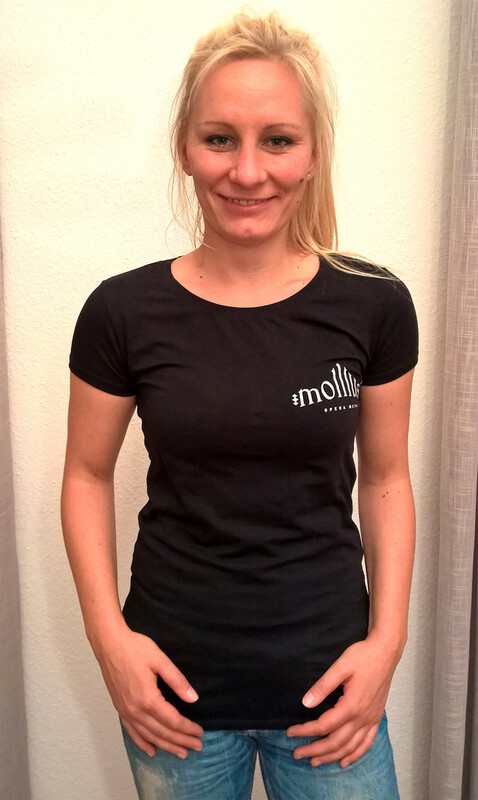 T-Shirt in typischer T-Form oder als Girlie mit Logo-Applikation des ersten molllust-Logos auf der linken Brust sowie auf dem Rücken. In den Farbvarianten dunkelblau und schwarz erhältlich. Restposten - diese Shirts werden nicht nachgedruckt! 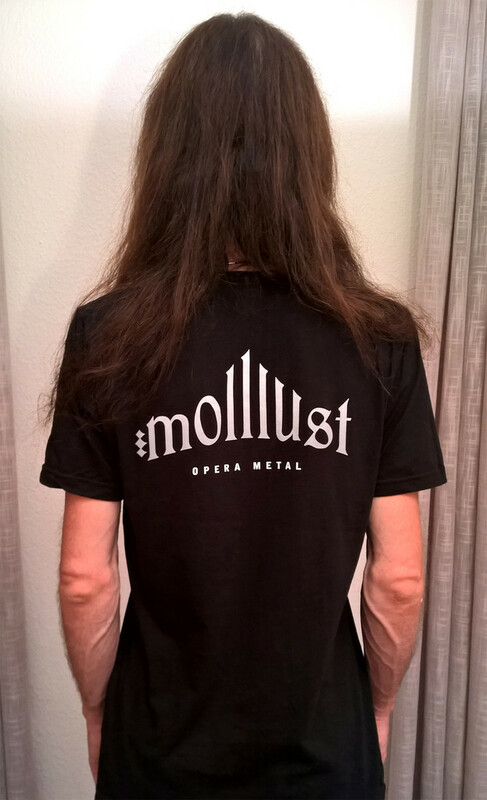 T-Shirt in standard T-shape or as girlie with an application of the first molllust-logo on top left on the front and on the back. 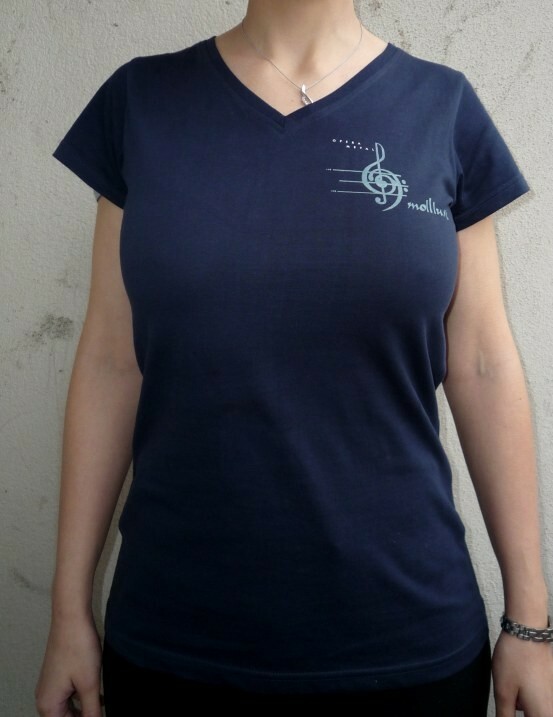 Available in dark blue (dunkelblau) and black (schwarz). Remaining stock - these shirts won't be reprinted! We strongly suggest to download our music at bandcamp. We'll receive most of the money you spend that way - and not the shops or other people doing business with our art.